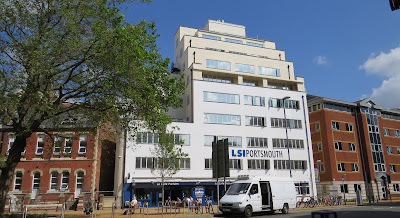 LSI Portsmouth is a beautiful large eight storey 1930s Art Deco building. 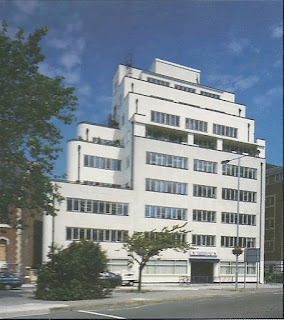 While it is a lovely building, it does take a lot of maintenance, for which we have to thank Terry and Adam for managing. 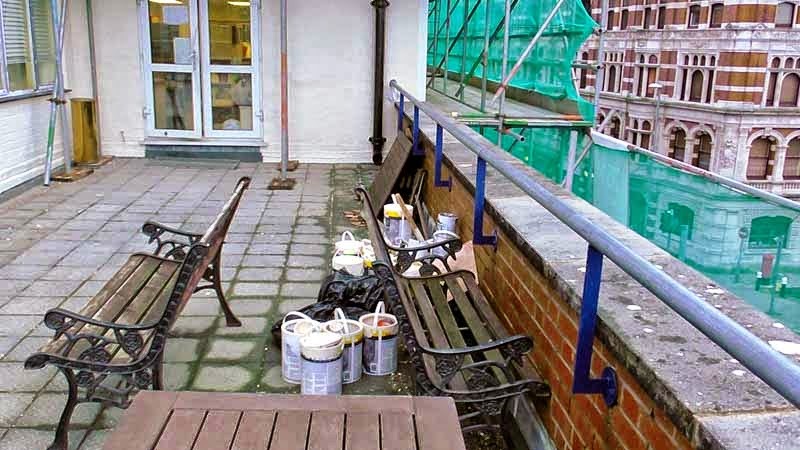 Over the last year we have had a major redecoration project on the outside of the building. The pictures below show some of what was involved. 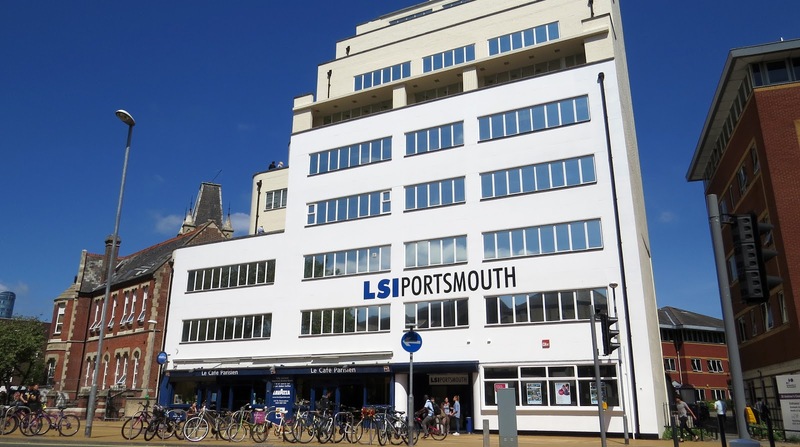 The builders Mark and Rick with the help of Andy have done a fantastic job (and been great fun to have around), and we are now delighted to unveil the FABULOUS new face of LSI Portsmouth. The big reveal! We are so pleased with the new look. 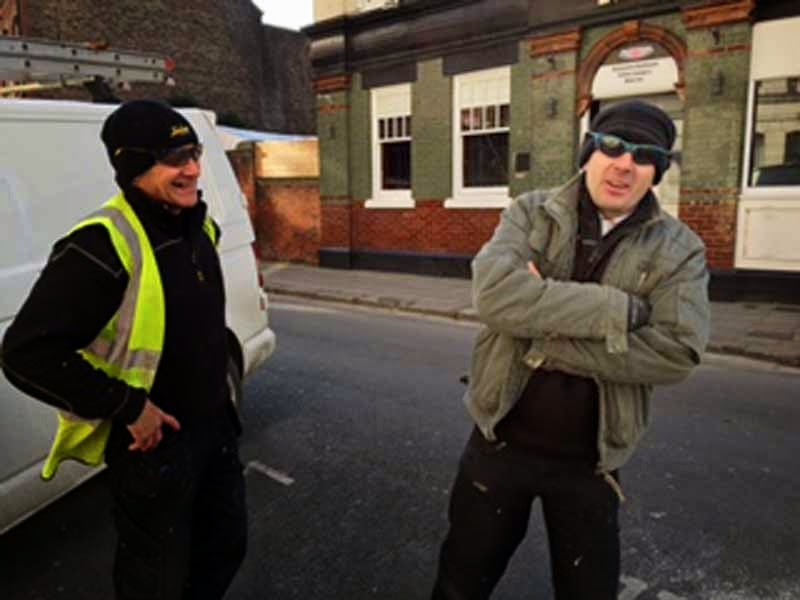 Mark and Rick braving the cold. 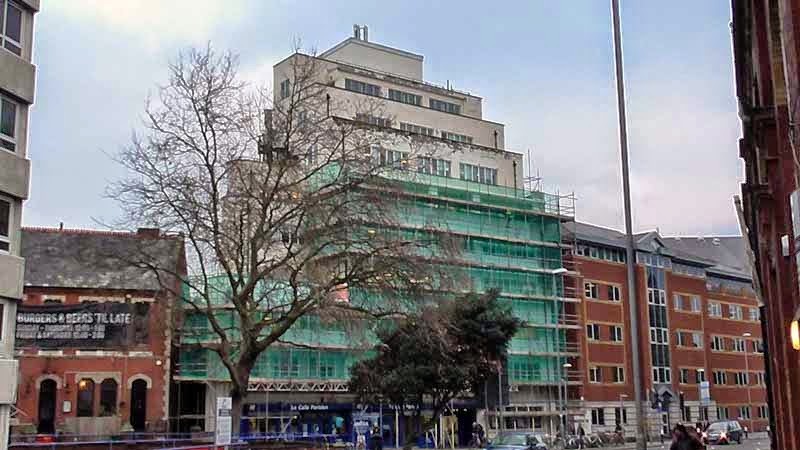 All covered in scaffolding and netting. 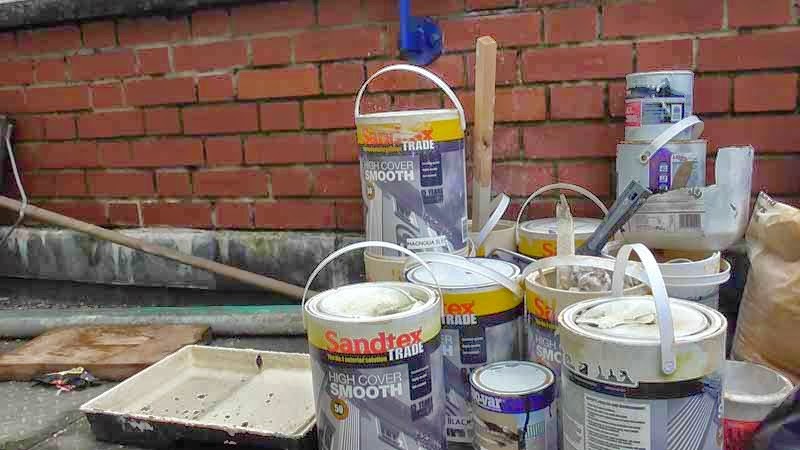 We got used to seeing paint everywhere! 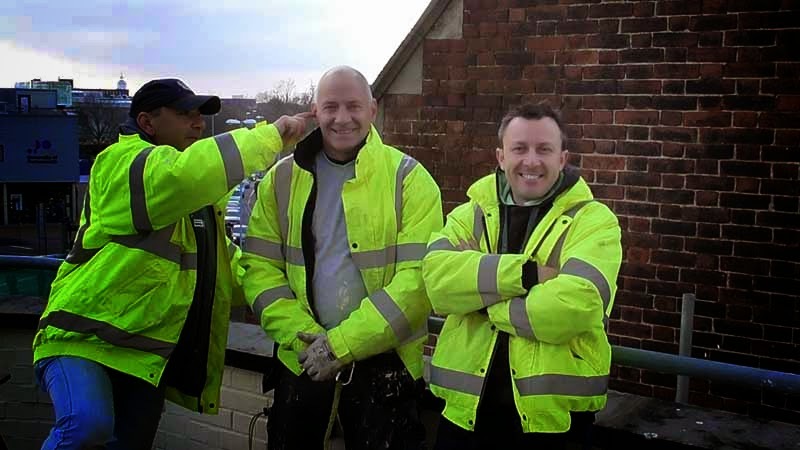 Andy, Mark and Rick - proud of their handiwork. Congratulations to our Pre-Sessional Students! We would like to say a massive 'well done' to our recently graduated pre-sessional students for all their hard work and commitment to their course over the past 4 months. Some of the students we have had to say goodbye to, have been here for over a year, and their progress has been outstanding. 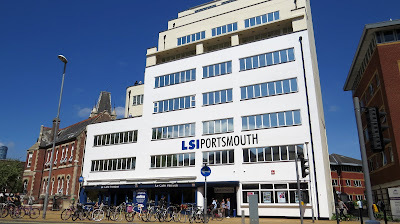 We are so grateful to have such hard-working and dedicated students studying here at LSI Portsmouth, and we wish you every luck and success for the future. 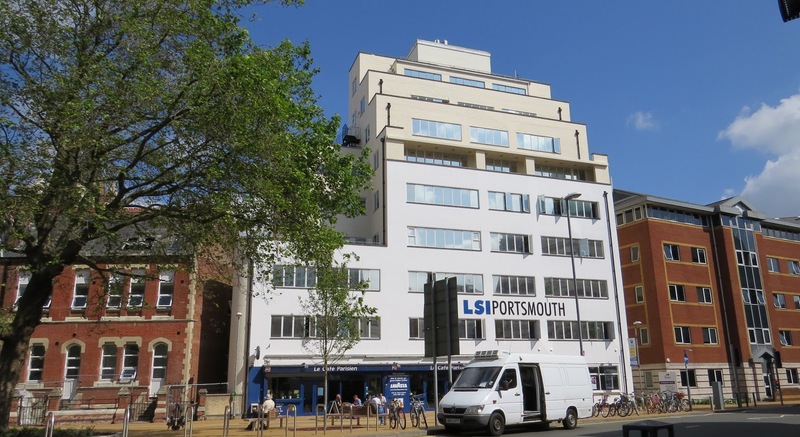 Our pre-sessional students will be starting their Bachelor degrees at the University of Portsmouth in September, and we are confident that they will all be amazing! Here are some photos from the pre-sessional leaving ceremony last week, as well as a few photos from a delicious Arabic feast organised by one of the groups to say thank you to the teachers and staff that have helped them throughout their course. You have all been fantastic to teach, your progress has been amazing, and we hope you will come back and visit us in the near future! Happy ‘Official’ Birthday to the Queen! 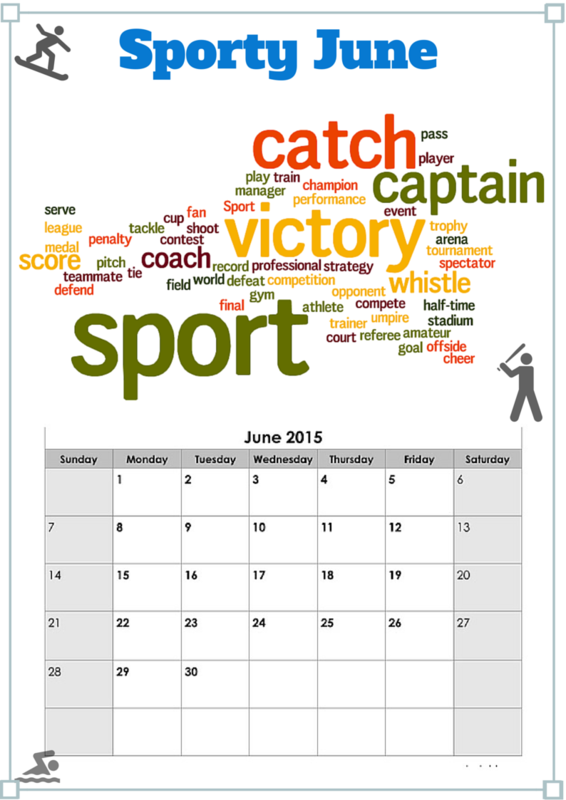 Did you know that The Queen celebrates two birthdays each year? Her actual birthday falls on the 21st of April , which she usually spends privately, probably with her family and those closest to her. However, it has long been tradition in the United Kingdom, for the king or queen to have a second ‘official’ birthday which is held on a Saturday in June (the 13th June this year). This is because there is a greater chance of good weather for the Birthday Parade, which is also known as ‘Trooping the Colour’. This military ceremony dates right back to the early eighteenth century, and involves an impressive display by the Queen’s guards. After this ceremony takes place the Queen then rides in a carriage back to Buckingham Palace before taking the salute at the Palace on a special royal throne. The Queen then joins other members of the Royal Family on the palace balcony to watch the Royal Air Force perform a ceremonial flight over the palace. Her official birthday is also publicly celebrated by gun salutes all across London! There is a 41 gun salute in Hyde Park, a 62 gun salute at the Tower of London and a 21 gun salute in Windsor Great Park. There will be lots of exciting things happening all over the city and it will probably be even busier than usual in London this weekend! If you aren’t visiting London this weekend, you can watch the parade as it is broadcast live on the BBC. 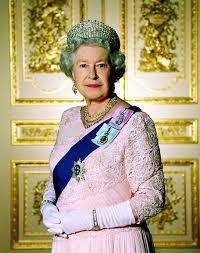 Everyone here at LSI Portsmouth would like to wish The Queen a very happy ‘official’ birthday! Songs and Swear Words - Some of the Advantages of being Bilingual! What is it like to be able to speak equally well in two (or more) languages? Luis and Frankie here discuss how they became bilingual, and give tips on how to learn a language (after all they are experts! ).